The short answer to this question is: many things can influence the taste of wine. You may have heard the word terroir and I would like to clarify a common misunderstanding about the use of this word. It is often thought to be the type of soil that contains the vines. Surprisingly, terroir involves something that is much broader than only soil type. It actually stands for everything that affects the taste of the final wine. And that’s quite a bit. And believe it or not, you are still influencing its taste when drinking it! Here I would like to summarize all these factors, being soil, location, climate, wine growers, ageing (of the wine!) and drinking, that influence the taste of wine. This may sound a bit exaggerated, but, all things considered, wine is a very delicate liquid. Find out below what influences the taste of wine. The soil is indeed of influence. In particular, the rate of drainage and the extent to which heat is absorbed, then retained (at night) and issued again. This process affects the growth and flowering of the vines, the ripening of the grapes and the development of aromas in the grape skins. It is the physical properties of the soils, regulating the water supply to the vine, that are most important in determining wine quality. The best terroirs are the ones where the soils are free draining, with the water tables high enough to ensure a regular supply of water to the vine roots which then recedes, so that vegetative growth stops and the vine concentrates its energies on fruit ripening. A last but not unimportant remark here. There has been much debate whether the composition of the soil is a factor, however, most winemakers and scientists reject this conception. 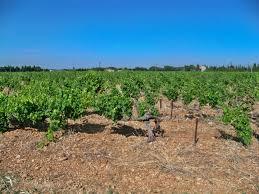 The location of a vineyard can, under certain climatic conditions be of great importance. Sloping land is favourable for drainage. The moderating influence of great height in a hot environment will be discussed in the climate. Hillside location in northern latitudes offers simultaneous protection against frost and a better angle for the sunlight. To take full advantage of the sunshine a vineyard in the northern hemisphere should be directed somewhat to the south. In order to find the places with the most sun in northern parts, you can detect well when snow has fallen and it starts to thaw. Everyone agrees that vineyards on steep slopes produce exceptional wines. 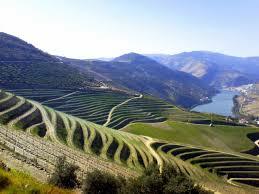 Construction and maintenance of these vineyards is a cost that weighs heavily on the exploitation, especially when the grounds should be built in terraces. Moreover, the risk of erosion there is large, and the use of tractors is only possible to a limited extent. To reach full maturation, with an acceptable balance between sugars and acids, the grape plants need a more or less moderate climate. Moderate means here: not too cold and not too hot, not too wet and not too dry. Roughly speaking, you can find such circumstances in both the northern and the southern hemisphere between the 30th and 50th latitude. Ideal is an average annual temperature of 14 to 15 ° Celsius, while 9 ° is considered a minimum. If there is sufficient heat the sugar content of the fruit will rise – and thus the potential alcoholic strength, while the acidity strength decreases. In general, white grapes thrive better at relatively low temperatures than blue. 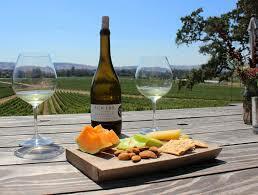 As a rule, they produce wines that are lower in alcohol, because lower in sugar and higher in acidity. 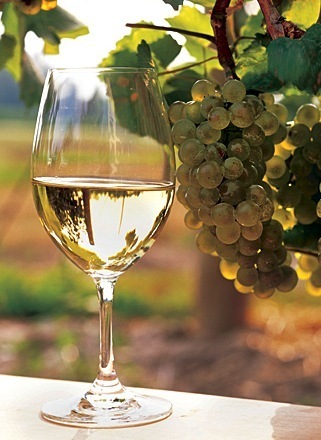 White grapes can do, however, also well in warm regions with cool nights. Those cool nights ensure that the acidity and aromas are maintained. Planting at higher altitudes is another option. After all, the higher above sea level, the cooler. Facing the sea also means cooling, either by wind or by fog. At least as important as the temperature is the amount of sunshine. Sunlight is necessary for metabolism in the plant, the so-called photosynthesis. Harmful to grapes are hail, frost in the spring and a lot of rain just before and during harvest. Moisture always holds a danger of rotting. There are the many decisions made by the winegrower in the vineyard and in the winery, starting with the grape (s) that they want to plant. The grape variety is of course the most flavour-determining element. Another example is the decision how many clusters will carry a vine, which have a direct influence on the quality of the grapes. Less clusters lead to greater concentration of flavours and thus better quality. A grower, who wants the soil and climate reflected in its wines, uses the cellar as little as possible. In this way it will result in wines that are unique and have their own character, wines with a true terroir expression. 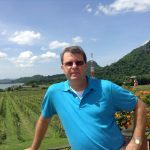 I have prepared a more in-depth post on the workings of vineyards here. Ageing is most noticeably the process of the tannins in the wine reacting with other components until they are unable to stay in solution, where upon they become sediment. Wine is allowed to age so that all of its components will be in balance with each other. Maturation ensures that the flavour of the wine is balanced, as opposed to young wines, the taste of which is often different. The acids, alcohol, tannins and fruit are all mixed together until a personality, a character forms. A good wine will be balanced and harmonious. 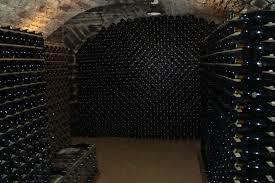 A well conditioned cellar will do this, but a good alternative is a wine cooling cabinet. See my wine cooler reviews here. In our mouth, we have several areas that are sensitive to different tastes. For example, you can better taste sweet on the tip of your tongue, acid in the back of your mouth and bitter in the middle of your tongue. To test the specific taste of a particular wine well, the wine would have to hit that specific area in the mouth. If you want to perceive the sweetness of a wine, then ensure it touches the tip of your tongue. That is where the right wine glass comes in. The right wine glass allows the wine to hit the right palate areas. Also, the degree in which wine is exposed to air has an influence on the wine. The shape of a wine glass establishes to which extent. Wine glasses for red wine are often larger, wider than wine glasses where you drink whites from. Red wines are generally more aromatic than white wines. In a wine glass with a wide opening, the aromas will come fully into play and can make them smell better. For white wine it is particularly important that it stays cool a little longer to let the flavour can come into its own. 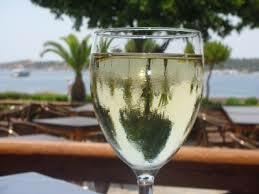 A narrow glass ensures that the wine remains cooler for a longer period and therefore is more suitable for white wine. They say that wine is developing and ageing three times viz. : as a grape, during fermentation and in a bottle. So maybe there is a fourth, although short, ageing time, namely the one when a wine is being uncorked, poured in a glass and then drunk. I cannot imagine any other alcoholic, or non-alcoholic drink, for that matter, having such a sensitivity to all kinds of outside influences. We all know that wine will turn acid or become like a vinegar once it was exposed to air for too long. Wine remains sensitive throughout its life span and it deserves to be treated as such from its beginning as a vine/grape until its very end as wine. This being a Chardonnay oriented site, you are welcome to read all the facts and figures of this versatile grape. If this article has whetted your appetite for wine, then find access to some excellent Chardonnays plus wine reviews by clicking one of the three images on the right hand side (for mobile users just under this text). 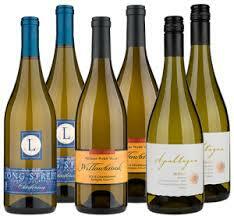 You will see world best Chardonnays for delivery to three markets: USA, UK and Australia. Folks, please feel free to leave a comment or question and I will get back to you within 24 hours! Thanks for this post. It has helped me with my research. Given that this is a Chardonnay based post, have you ever been to Adelaide Hills? If so, would you be able to give me your brief experience with it. Adelaide Hills is on my to do list. A friend of mine is lucky enough to live there and have vineyards as his backyard. He is frequently coming to Thailand where I live and brings a few bottles of the wine from his region. All of them are high quality. Thanks Martin, I am thinking of preparing a separate post just on soil effects. Jerry.